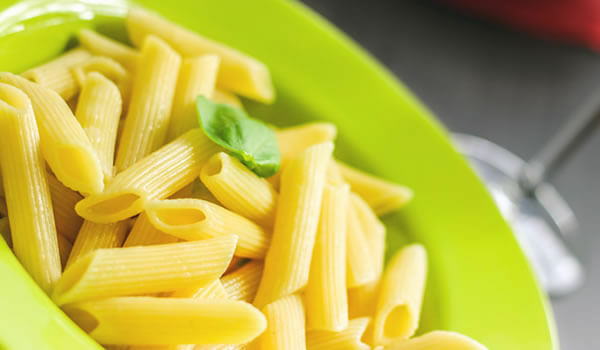 An analysis from researchers in Toronto suggests pasta might not be as bad as many think when it comes to weight loss. The meta-analysis of previous randomized controlled trials examined the effect of pasta when consumed alone as well as when incorporated into a diet featuring foods low on the glycemic index, which determines how quickly your body digests and turns that food into glucose. Lower glycemic index foods, considered "good carbs," take longer to digest and don't impact blood sugar as much as foods higher on the index. Researchers identified 30 trials involving 2,500 people who ate pasta instead of other carbohydrates as part of a low-glycemic index diet. The study found participants, who ate an average of one-and-a-half cups of cooked pasta a week, lost weight. "In weighing the evidence, we can now say with some confidence that pasta does not have an adverse effect on body weight outcomes when it is consumed as part of a healthy dietary pattern," lead author John Sievenpiper, a clinician scientist with St. Michael's Hospital in Toronto, said in a statement. Researchers said more studies are need to figure out whether pasta can be included in other popular meal plans such as the Mediterranean diet.